When a 2-year-old wants candy before dinner, sometimes no amount of reasoning is effective and the child is sent to time-out to reconnect with reality. In today's world, climate change deniers are similar to a petulant 2-year-old. 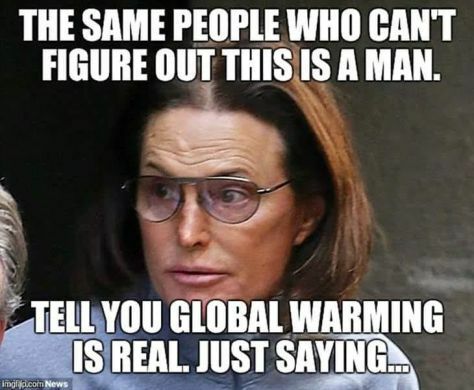 They are out of touch with reality. Climate scientists - people who know far more than non-scientists about the way the world's climate works - have recently reported that the four hottest years since record-keeping began in 1880 were the past four years. There is no doubt among them that human activity is causing global temperatures to rise, and that the consequences are already severe and will get worse. Rational people see through the unsupportable arguments of the deniers. The next step is straightforward: push your elected representatives to embrace the Carbon Fee and Dividend Policy promoted by Citizens' Climate Lobby. It is the most effective way to counter climate-change denying idiocy. Record jump in global surface temperatures from 2014 to 2016 has boosted the total amount of warming since 1900 by more than 25 percent in just three years, a study shows. The study, led by a University of Arizona-led team, has been published online in the journal Geophysical Research Letters. The researchers analyzed 15 different datasets, including observations of global mean surface temperatures from 1850 to 2016, ocean heat content from 1955 to 2016, sea level records from 1948 to 2016 and records of the El Niño climate cycle and a longer climate cycle called the Pacific Decadal Oscillation, and found the Earth's average surface temperature climbed about 0.9 Celsius degrees from 1900 to 2013. Although some release of heat from the Pacific Ocean is normal during an El Niño, the researchers found much of the heat released in 2014-2015 was due to additional warming from increases in the amount of greenhouse gases in the atmosphere. "The result indicates the fundamental cause of the large record-breaking events of global temperature was greenhouse-gas forcing rather than internal climate variability alone," said lead author Jianjun Yin, a University of Arizona associate professor of geosciences. The researchers also projected how often a 0.24-Celsius-degree global temperature increase might occur in the 21st century depending on the amount of greenhouse gases emitted worldwide between now and 2100. The team used four representative concentration pathway (RCP) models that project future climate change between 2016 and 2100. For the low-emission RCP scenario, in which greenhouse gas emissions peak by 2020 and decline thereafter, temperature jumps of at least 0.24 Celsius degrees might occur from zero to two times in the 21st century, the team found. For the highest-emission RCP scenario, in which greenhouse gas emissions rise unabated throughout the 21st century, spikes of record warm temperatures would occur three to nine times by 2100. "As a climate scientist, it was just remarkable to think that the atmosphere of the planet could warm that much that fast," said study co-author Jonathan Overpeck, dean of the University of Michigan (UM) School for Environment and Sustainability. Adapting to the increases in the frequency, magnitude and duration of rapid warming events projected by the higher-emission scenario will be difficult. "If we can reduce greenhouse gas emissions, we can reduce the number of large, record-breaking events in the 21st century-and also we can reduce the risk," Yin said. Trump does not know the difference between weather and global warming. Don't be stupid like Trump. The basic facts about the global increase of CO2 in our atmosphere are clear and established beyond reasonable doubt. 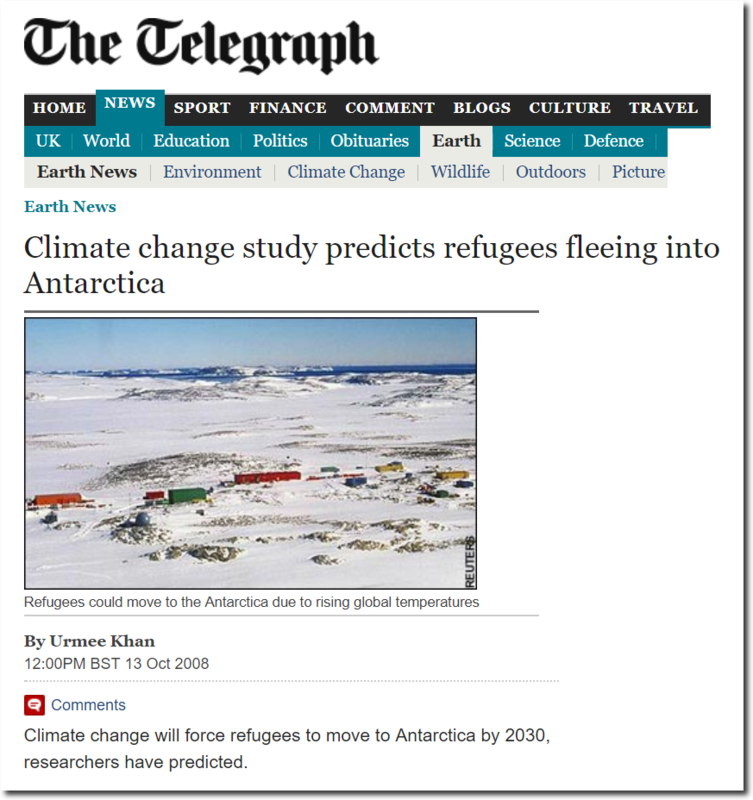 Nevertheless, I've recently seen some of the old myths peddled by "climate skeptics" pop up again. Are the forests responsible for the CO2 increase? Or volcanoes? Or perhaps the oceans? The additional 125 ppm CO2 have a heating effect of 2 watts per square meter of earth surface, due to the well-known greenhouse effect - enough to raise the global temperature by around 1 °C until the present. Fig. 1 Perhaps the most important scientific measurement series of the 20th century: the CO2 concentration of the atmosphere, measured on Mauna Loa in Hawaii. Other stations of the global CO2 measurement network show almost exactly the same; the most important regional variation is the greatly subdued seasonal cycle at stations in the southern hemisphere. This seasonal variation is mainly due to the "inhaling and exhaling" of the forests over the year on the land masses of the northern hemisphere. Source (updated daily): Scripps Institution of Oceanography. Fig. 2 The CO2 concentration of the atmosphere during the Holocene, measured in the ice cores from Antarctica until 1958, afterwards Mauna Loa. Source: Scripps Institution of Oceanography. These facts are well known and easy to understand. Nevertheless, I am frequently confronted with attempts to play down the dangerous CO2-increase, e.g. recently in the right-leaning German newspaper Die Welt. Are the forests to blame? In fact, carbon dioxide, which is blamed for climate warming, has only a volume share of 0.04 percent in the atmosphere. And of these 0.04 percent CO2, 95 percent come from natural sources, such as volcanoes or decomposition processes in nature. The human CO2 content in the air is thus only 0.0016 percent. The claim "95 percent from natural sources" and the "0.0016 percent" are simply wrong (neither does the arithmetic add up - how would 5% of 0.04 be 0.0016?). These (and similar - sometimes you read 97% from natural sources) numbers have been making the rounds in climate denier circles for many years (and have repeatedly been rebutted by scientists). They present a simple mix-up of turnover and profit, in economic terms. The land ecosystems have, of course, a high turnover of carbon, but (unlike humans) do not add any net CO2 to the atmosphere. Any biomass which decomposes must first have grown - the CO2 released during rotting was first taken from the atmosphere by photosynthesis. This is a cycle. Hey, perhaps that's why it's called the carbon cycle! That is why one way to reduce emissions is the use of bioenergy, such as heating with wood (at least when it's done in a sustainable manner - many mistakes can be made with bioenergy). Forests only increase the amount of CO2 in the air when they are felled, burnt or die. This is immediately understood by looking at a schematic of the carbon cycle, Fig. 3. Fig. 3 Scheme of the global carbon cycle. Values ? ?for the carbon stocks are given in Gt C (ie, billions of tonnes of carbon) (bold numbers). Values ? ?for average carbon fluxes are given in Gt C per year (normal numbers). Source: WBGU 2006 . (A similar graph can also be found at Wikipedia.) Since this graph was prepared, anthropogenic emissions and the atmospheric CO2 content have increased further, see Figs 4 and 5, but I like the simplicity of this graph. If one takes as the total emissions a "natural" part (60 GtC from soils + 60 GtC from land plants) and the 7 GtC fossil emissions as anthropogenic part, the anthropogenic portion is about 5% (7 of 127 billion tons of carbon) as cited in the Welt article. This percentage is highly misleading, however, since it ignores that the land biosphere does not only release 120 GtC but also absorbs 122 GtC by photosynthesis, which means that net 2 GtC is removed from the atmosphere. Likewise, the ocean removes around 2 GtC. To make any sense, the net emissions by humans have to be compared with the net uptake by oceans and forests and atmosphere, not with the turnover rate of a cycle, which is an irrelevant comparison. And not just irrelevant - it becomes plain wrong when that 5% number is then misunderstood as the human contribution to the atmospheric CO2 concentration. The natural earth system thus is by no means a source of CO2 for the atmosphere, but it is a sink! Of the 7 GtC, which we blow into the atmosphere every year, only 3 remain there. 2 are absorbed by the ocean and 2 by the forests. This means that in the atmosphere and in the land biosphere and in the ocean the amount of stored carbon is increasing. And the source of all this additional carbon is the fact that we extract loads of fossil carbon from the earth's crust and add it to the system. That's already clear from the fact that we add twice as much to the atmosphere as is needed to explain the full increase there - that makes it obvious that the natural Earth system cannot possibly be adding more CO2 but rather is continually removing about half of our CO2 emissions from the atmosphere. The next diagram shows (with more up-to-date and accurate numbers) the net fluxes of CO2 (this time in CO2 units, not carbon units!). Fig. 4 CO2 budget for 2007-2016, showing the various net sources and sinks. The figures here are expressed in gigatons of CO2 and not in gigatons of carbon as in Fig. 3. The conversion factor is 44/12 (molecular weight of CO2 divided by atomic weight of carbon). Source: Global Carbon Project. Fig. 5 shows where the CO2 comes from (in the upper half you see the sources - fossil carbon and deforestation) and where it ends up (in the lower half you sees the sinks), in the course of time. It ends up in comparably large parts in air, oceans and forests. The share absorbed by the land ecosystems varies greatly from year to year, depending on whether there were widespread droughts, for example, or whether it was a good growth year for the forests. That is why the annual CO2 increase in the atmosphere also varies greatly each year, and this short-term variation is not mainly caused by variations in our emissions (so a record CO2 increase in the atmosphere in an El Niño year does not mean that human emissions have surged in that year). Fig. 5 Annual emissions of carbon from fossil sources and deforestation, and annual emissions from the biosphere, atmosphere and ocean (the latter are negative, meaning net uptake). This is again in carbon (not CO2) units; the 12 gigatons of carbon emitted in 2016 are a lot more than the 7 gigatons in the older Fig. 3. Source: Global Carbon Project. Since the industrial revolution the combustion of fossil fuels and deforestation have led to an increase of 26% in carbon dioxide concentration in the atmosphere. In the 27 years since then, the CO2 increase caused by our emissions has gone up from 26% to 45%. While most of the CO2 emitted by far is the result of natural phenomena - namely respiration and decomposition, most attention has centered on the three to four percent related to human activities - burning of fossil fuels, deforestation. We conclude that ExxonMobil contributed to advancing climate science-by way of its scientists' academic publications-but promoted doubt about it in advertorials. Given this discrepancy, we conclude that ExxonMobil misled the public. They explain their main findings in this short video clip. Does the CO2 come from volcanoes? Another age-old climatic skeptic myth, is that the CO2 is coming from volcanoes - first time I had to rebut this was as a young postdoc in the 1990s. The total volcanic emissions are between 0.04 and 0.07 gigatonnes of CO2 per year, compared to the anthropogenic emissions of 12 gigatons in 2016. Anthropogenic emissions are now well over a hundred times greater than volcanic ones. The volcanic emissions are important for the long-term CO2 changes over millions of years, but not over a few centuries. Does the CO2 come from the ocean? As already mentioned and shown in Figs. 4 and 5, the oceans absorb net CO2 and do not release any. The resulting increase in CO2 in the upper ocean is documented and mapped in detail by countless ship surveys and known up to a residual uncertainty of + - 20% . This is, in itself, a very serious problem because it leads to the acidification of the oceans, since CO2 forms carbonic acid in water. The observed CO2 increase in the world ocean disproves another popular #fakenews piece of the "climate skeptics": namely that the CO2 increase in the atmosphere might have been caused by the outgassing of CO2 from the ocean as a result of the warming. No serious scientist believes this. Remember also from Figs. 4 and 5 that we emit about twice as much CO2 as is needed to explain the complete rise in the atmosphere. In case you have not connected the dots: the denier myth of the oceans as cause of the atmospheric CO2 rise most often comes in the form of "the CO2 rise lagged behind temperature rise in glacial cycles". It is true that during ice ages the oceans took up more CO2 and that is why there was less in the atmosphere, and during the warming at the end of glacial cycles that CO2 came back out of the ocean, and this was an important amplifying feedback. But it is a fallacy to conclude that the same natural phenomenon is happening again now. As I explained above: measurements clearly prove that the modern CO2 rise has a different cause, namely our fossil fuel use. What is the same now and over past glacial cycles is not the CO2 source, but the greenhouse effect of the atmospheric CO2 changes: without that we could not understand (or correctly simulate in our climate models) the full extent of glacial cycles. A man offers you a cocktail with a little bit of cyanide at a party. You reject that indignantly, but the man assures you it is completely safe: after all, the amount of cyanide in your body after this drink would be only 0.001 percent! This could hardly be harmful! Those scientists who claim that 3 mg cyanide per kg of body weight (ie 0.0003 percent) are fatal are obviously not to be trusted. Are you falling for that argument? We hope not, and we hope you will neither fall for the claim that 0.0125 percent of CO2 (that's the 125 ppm increase caused by humans) can't be bad because that number is small. Of course, the amount of CO2 in the air could also be expressed in kilograms: it is 3200 billion tons or 3,200,000,000,000,000 kilograms. Of this humans are responsible for almost 1000 billion tons. (Does that sound more harmful than 0.0125 percent?) Since the year 1870, we have even emitted a total of about 2,000 billion tons. As already explained, forests and oceans have removed about half of that from the atmosphere. That is still a great concise description of the greenhouse effect! Without CO2 in the air our planet would be completely frozen, no life would be possible. With CO2, we are turning one of the major control knobs of global climate. So let's finally come to the climatic effect of the CO2 increase. As for cyanide, the effect is what counts, and not whether compared to some large mass the fraction is 10 percent or 0.01 percent. The dose effect of toxins on humans can be determined from experience with victims. The climatic impact of greenhouse gases can either be calculated on the basis of an understanding of the physical processes, or it can be determined from the experience of climate history (see my previous post). Both come to the same conclusion. The climate sensitivity (global warming in equilibrium after CO2 doubling) is around 3 °C, and the expected warming to date, due to the current CO2 increase, is around 1 °C. This corresponds quite exactly to the observed global warming (Fig. 7). For which, by the way, there is no natural explanation, and the best estimate for the anthropogenic share of global warming since 1950 is 110 percent - more on this in my previous post. Don't take any notice of members of the 6000 Year Cult. These people are clustered in North America. If they lived anywhere else in the world, they would be viewed as social misfits. Climate-change-deniers are clustered in North America. They are a minority of Earth's population. Ironic because the letter has the typical childishness of a White Western Liberal. "Buahh i be smart they be wrong buahh! They be idiots buahh! Scientists on my side buahh!" That's the beauty of using something as abstract and dynamic as weather. Fkg dorks... it's cold because it's warm. These quacks are the stupidest. The melting glaciers of Norway have released over 2,000 artifacts buried in its ice for thousands of years. Because the items had been buried in ice for millennia, they are remarkably well-preserved and provide insight into past human activity. The ice in high mountains is already melting as a result of climate change. For a decade now, researchers from Secrets of the Ice project have been collecting the artifacts being revealed as a result of the ice melt. Amazingly, because these items have been encased in ice for millennia, the items they have been finding are exceptionally well-preserved even if some of them date back to 4,000 BC. Some of their incredible finds include 180 arrows from the Iron Age, clothes from the Bronze Age, wooden skis, skulls of a pack of horses, and Viking swords. According to researchers, one can practically find anything in the glacial mountain passes. In fact, they have even found well-preserved artifacts made of organic material such as cloth or leather. Had the said items been exposed to the sun and the elements, they would not be as well-preserved or perhaps even be preserved at all. So far, out of the 2,000 artifacts, 150 have been dated. Researchers state that dating the artifacts also reveals the pattern of human activity in the mountains and perhaps even the climate. For instance, with the earliest artifacts dated to 4,000 BC., they believe that this was a result of then glaciation in the region after the warming during the Holocene, a time when there was probably little ice to preserve any artifacts. Further, the distribution of the artifacts is not equal or consistent. The most striking pattern they noticed was that of the artifact peak of the Late Antique Little Ice Age about 536 to 660 AD. Although this was a cooling period when populations likely decreased, the peak in artifact finds suggests that the people at the time relied largely on hunting reindeer for sustenance because of the bleak agricultural situation. Conversely, researchers noticed a sharp decline in artifacts after another peak during the eighth, ninth, and tenth century even before the plague began. A possible explanation for the decrease may be the replacement of bow-and-arrow hunting with mass harvesting techniques. In summation, researchers find so far that there could be four factors that could explain the artifact pattern: the reindeer population, the climate history, human activity, and preservation issues. Shithole Trump does not know the difference between weather, global warming, and climate change. He is so ignorant he does not know the difference between weather, global warming, and climate change. By now, the world knows where President Donald Trump stands on the issue of global warming: He's a climate denier who has appointed the most staunchly anti-environment cabinet in modern American political history. If fully enacted, his administration's policies would accelerate global warming, raising sea levels worldwide and wreaking havoc with extreme weather events, likely causing billions in damage to the U.S. alone. Trump is the only climate denier at the helm of a G-20 nation (though Vladimir Putin has flirted with climate denial in the past). He makes the U.S. scientific establishment so furious that some researchers are ditching academia in favor of the campaign trail to oppose his policies from inside the government. But rather than debunk another baseless thing Trump said about climate science, which others have already done, there's an overlooked, counterintuitive point to be made about Trump's refusal to accept scientific facts. His purposeful ignorance hurts his own agenda. It's actually in Trump's best interest to form a coherent climate science position, even if it's outside of the scientific mainstream, because he is relying so much on executive action, rather than Congress, to undo previously enacted climate policies. Executive actions - including executive orders and federal regulations - are more vulnerable to judicial review than legislative actions are. Courts have consistently struck down or halted federal regulations that skip mandated steps, lack scientific justification, or would cause undue harm to industry or the public when compared to the benefits. Policies implemented without the advice of professional scientists risk being overturned at a later date, potentially after Trump has left office. The legal difficulties have already started to affect the Environmental Protection Agency and its zealous administrator, Scott Pruitt. Pruitt has rushed headlong toward undoing every climate and clean air regulation put in place in the history of his agency, and courts are beginning to put the brakes on this. Trump is the first president since President John F. Kennedy to fail to appoint a science advisor by this point in his first term, and he has barely staffed the White House Office of Science and Technology Policy (OSTP). The OSTP is charged with providing the Executive Branch with expert science and technology information in order to enable leaders like Trump and Pruitt to make informed decisions. Right now, the administration is flying blind when it comes to devising policies on everything from artificial intelligence to nuclear weapons modernization to how long it may be before global warming puts Trump's own Mar a Lago club underwater (hint, it's sooner than you think). A recent report from the Union of Concerned Scientists found that the Trump administration has been sidelining scientists across the government, from OSTP to agency advisory committees. "The administration's one-year record shows an unprecedented level of stalled and disbanded scientific advisory committees, cancelled meetings, and dismissed experts," the report found. Instead of experts, Trump has instead been relying on Fox News for most of his scientific advice. This is the equivalent of eschewing a physician visit and instead watching episodes of Dr. Oz in order to treat your sick kid. In short, it's bonkers. More importantly, it's hurting both Trump and the country at the same time. In an interview between Trump and the British journalist Piers Morgan that aired over the weekend on ITV, Trump said a remarkably idiotic series of falsehoods about the changing planet. These are talking points regurgitated frequently on Fox News shows such as Fox & Friends, which the president is known to watch regularly. Arctic sea ice trend during the month of December, since satellite observations began in 1979. "There is a cooling and there's a heating - I mean, look, it used to not be climate change. 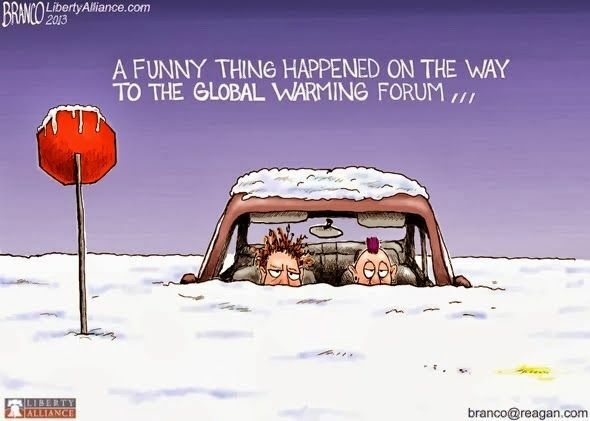 It used to be global warming," Trump said. "That wasn't working too well because it was getting too cold all over the place. The ice caps were going to melt. They were going to be gone by now, but now they're setting records, okay? They're at a record level," he said. "There were so many thing[s] happening, Piers. I'll tell you what I believe in. I believe in clear air. I believe in crystal clear beautiful water. I believe in just having good cleanliness in all." The problem for Trump, however, is that the ice caps are at record lows, both in the Arctic and Antarctic, as is sea ice in both those regions. Arctic sea ice is at its lowest point in at least the past 1,400 years, according to recent research, and the Greenland and Antarctic ice sheets are melting at an increasing rate with each passing year. Just a few decades ago, they were thought to be relatively stable, particularly in Antarctica. A record high is pure fantasy, like much of what airs on Fox News. Here's a chart showing the current status of Arctic sea ice extent, which is at a record low, for example. It should also be noted that Morgan's question was itself ridiculous, as climate change is not something to believe in, but rather scientific fact. It's not a religion. Scientists don't believe or disbelieve in it, rather they recognize it is occurring and proceed from there. As the administration proceeds to roll back the Obama administration's Clean Power Plan and replace it with a far more limited program to regulate pollutants from coal-fired power plants - a move that is sure to be decided in the courts - it's doing so with a leader who spouts flagrant lies about climate science. That could be a serious liability in a court case. The Supreme Court has already stopped the EPA's attempt to delay the Obama administration's regulations on methane emissions from oil and gas facilities. Methane is a potent global warming pollutant, and the Trump administration was seeking to lower the regulatory burden on oil and gas producers. For the sake of Trump's own legacy, he would be wise to appoint a qualified science advisor who can then staff up the OSTP with other professionals. The result could provide scientific cover for the administration's policies, and prevent the president from relying instead on a cable TV network instead of his government's own experts. Don't get me wrong - I'm no fan of Trump's climate and energy policies. I'm torn here, since it might be better to have the Trump administration do such a shoddy job that its damaging policies can just be readily reversed by the next president. However, that would ultimately hurt the economy, for one, since industry craves policy certainty. Also, for anyone who cares about good government, bringing scientists into the room is the best thing to do at this point. I have no illusion that a science advisor would turn Trump into a climate policy advocate or someone who knows what AI is. But I'd rather that the administration's ideas be fully thought out than be cribbed from a morning TV show. That's just being sloppy and reckless, and as a journalist, I can't abide such work. Democrats will continue to fight Trump's proposals, and many of his policies will still wind up in court. But if there's a clearer rationale for their proposals, rooted in science (even if these are studies outside the mainstream journals), the administration would have a better shot at being able to at least explain them. Otherwise we'll continue to have Trump talking points and government policy determined by Fox & Friends, which is a recipe for governance by pseudoscience. That's not a recipe for lasting changes of the sort that Trump advertised on the campaign trail.